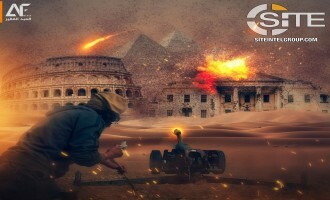 A nascent Egypt-focused jihadi media group demanded Egyptian youth rise up and overthrow President Abdul Fattah al-Sisi after the government's recent execution of nine men. 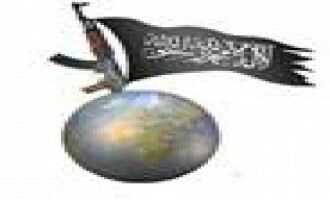 An alleged wife of an Islamic State (IS) fighter in Syria claimed that women had been ordered to leave Islamic State (IS) territory in Baghuz to allow their husbands to focus on fighting in a recent interview with the UAE-based Akhbar al-Aan media outlet. In what it described as an attempt to disrupt the Nigerian elections, the Islamic State's West Africa Province (ISWAP) claimed attacks near Monguno and in Maiduguri, killing at least 21 soldiers. 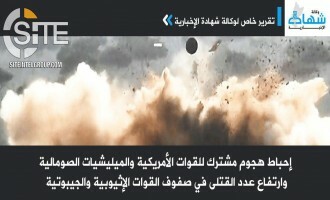 The Islamic State's 'Amaq News Agency released a short video of the rocket attack by fighters from the group's West Africa Province (ISWAP) on Maiduguri Airport & Nigerian Army positions in Borno State. 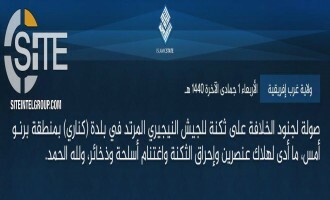 The Islamic State's West Africa Province (ISWAP) claimed targeting Maiduguri Airport and Nigerian Army positions in rocket attacks, in Nigeria’s Borno State, notably taking place during the Nigerian elections. The Afghan Taliban explained the reason why Mullah Baradar Akhund, its Political Chief, is not participating in negotiations with the U.S. in Qatar, and also demanded that the United Nations Security Council blacklist, on which its members are named, be dropped. The Afghan Taliban charged General Joseph Votel, commander of U.S. Central Command (CENTCOM), with "exaggerating" the threat posed to America by the Islamic State's Khorasan Province (ISKP) from Afghanistan. 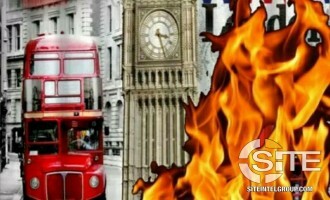 A prominent Islamic State (IS) supporter suggested attacks on various London landmarks upon repopulating his recently-suspended tactical manual repository. 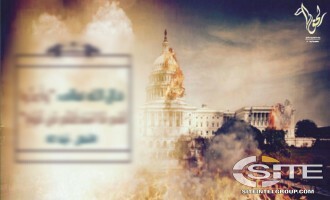 An Islamic State (IS)-aligned group published incitement posters depicting the U.S. Capitol Building in flames and multiple methods of attack, including arson, poison, explosives, and knives. 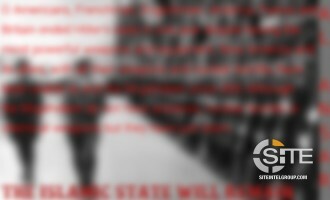 Over a three-month period, an Islamic State (IS)-aligned group has repeatedly incited supporters to carry out lone-wolf attacks in the West, giving this message in a poster in seven languages. The Afghan Taliban vowed revenge against the U.S. and its Afghan partners for the destruction of a historic religious school in Kapisa, directing its fighters to mount "massive and brutal" strikes on their centers. 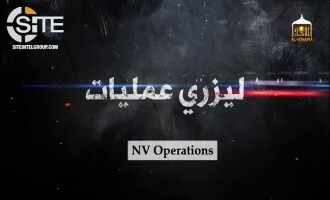 The Afghan Taliban released a video documenting its nighttime operations recorded with night vision equipment. 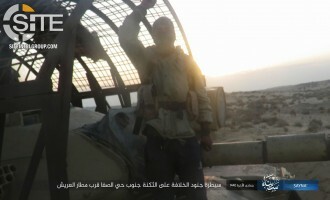 The Islamic State's Sinai Province claimed killing 20 Egyptian soldiers in a raid on their barracks near the Arish airport, and published photos of the attack and its aftermath. 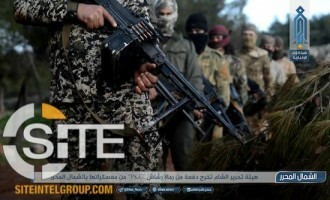 Hay’at Tahrir al-Sham (HTS) released a photo report featuring its fighters being trained with submachine guns by a Syria-based instructor group. 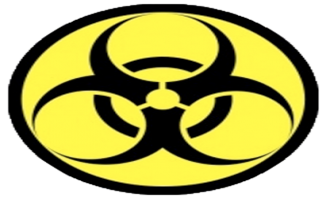 Islamic State (IS) supporters distributed and updated a set of suggestions to lone wolves involving poison, oil slicks, and bomb threats. Ansar al-Furqan, a Balochistan-based Sunni jihadi group, released a video of its fighters training with rifles and attending a lecture on the weapon. 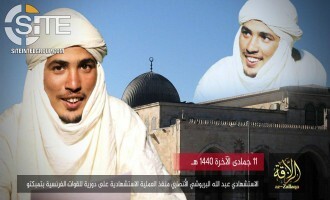 Jama'at Nusrat al-Islam wal Muslimeen (JNIM), al-Qaeda's branch in Mali, claimed bombing a vehicle belonging to the Movement for the Salvation of Azawad (MSA) in Talataye, and provided a picture of the suicide bomber who attacked a French patrol in Timbuktu. 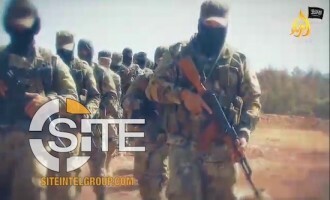 A Hay'at Tahrir al-Sham (HTS)-linked Syria-based Jihadi training group published a video of fighters participating in a mock assault on an enemy position. 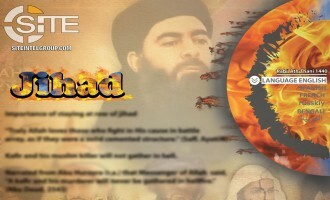 The Islamic State (IS)-aligned Muntasir Media released a video with English- and Spanish-subtitled defending the group and its ideology against its opponents. 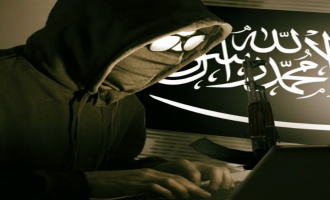 An Islamic State (IS)-aligned news unit advised supporters to be cautious of downloading and opening files from unknown users professing to back the group, warning they may contain spyware. 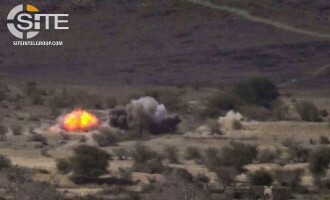 Jama'at Nusrat al-Islam wal Muslimeen (JNIM), al-Qaeda's (AQ) branch in Mali, claimed a suicide bombing on a French military patrol in Timbuktu and criticized alleged attempts by France to hide its losses, and additional took credit for attacks on Malian security forces and members of the MSA and GATIA movements. The Islamic State (IS) claimed killing two Filipino soldiers amidst a clash in Igasan barangay in Sulu, Philippines. The Islamic State's (IS) West Africa Province claimed inflicting multiple casualties among Nigerian soldiers in an attack and ensuing clash in Gagibu, in Borno State. 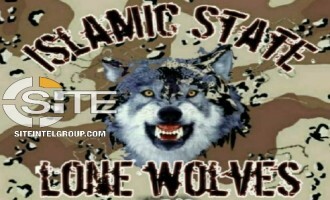 A Kashmir-focused Islamic State (IS) supporter called on lone wolves to kill Chinese in defense of Islam and Uyghurs. 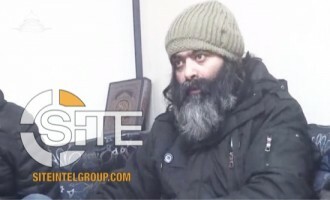 Hay’at Tahrir al-Sham (HTS) published a video highlighting its recent operations against criminal cells, including footage of a British aid worker. 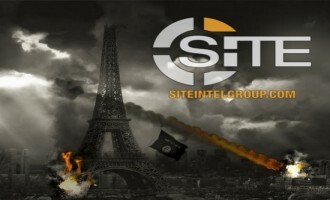 An Islamic State (IS)-aligned group used an image of the Los Angeles skyline to threaten attacks in the United States and the West. 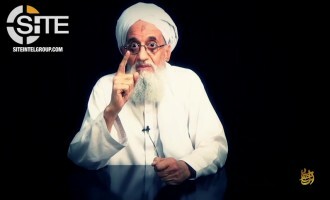 IS Supporter Chastises Keyboard Warriors, Calls to Physically "Punish Crusaders"
An Islamic State (IS) supporter chastised keyboard warriors, those who make threats behind their computers and speak of war without participating in it, urging they act upon their words on social media and physically "punish the Crusaders". 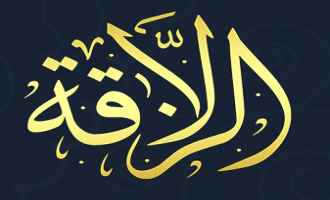 Prominent pro-Islamic State (IS) outlets, purposed for providing attack manuals and incitements, resurfaced on Telegram amid frequent account removals. 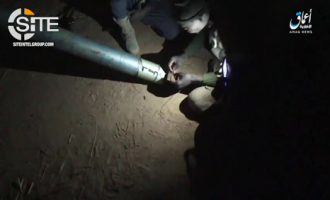 A Hay’at Tahrir al-Sham (HTS)-linked jihadi training group released videos and photos of its PKM and tactical training courses. 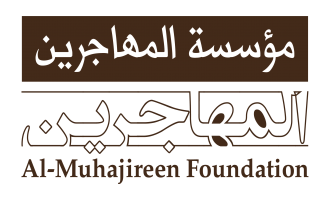 The foreign fighter-centric Muhajideen Foundation, an Islamic State (IS)-aligned group, published a biography of an alleged British blogger who worked in the IS' media department. 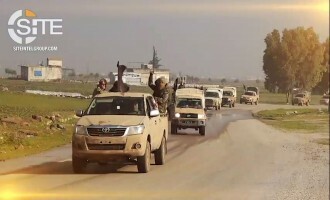 Showing the ruins of a city, an Islamic State (IS)-aligned group warned the U.S. of coming attacks and declared "the meeting is at Rome, O servants of the cross". The Islamic State's West Africa Province claimed killing 42 people in an ambush on the convoy of Kashim Shettima, the governor of Nigeria's Borno state. 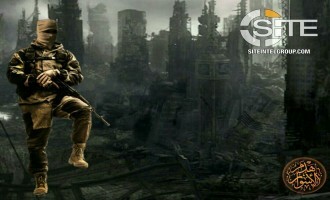 In assuring the West that the Islamic State (IS) will remain despite losing its territory, an IS-linked group drew a comparison between the defeat of Adolf Hitler in WW2 and the ongoing battle with the international coalition. 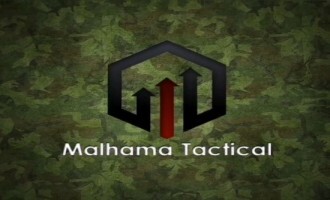 The Shabaab al-Mujahideen Movement claimed credit for the assassination attempt in Mogadishu on an MP of the South West State of Somalia, and destroying a post of the telecommunications company Safaricom in Garissa County, in neighboring Kenya. 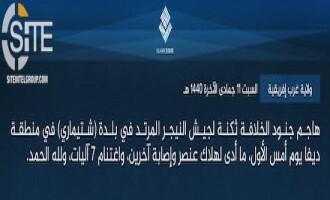 The Islamic State's West Africa Province (ISWAP) claimed an attack on a Nigerian army post near Monguno, in Borno state. 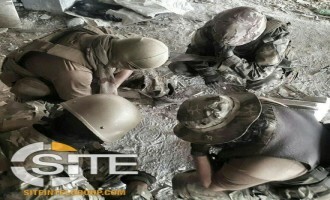 The Iran-based Jaysh al-Adl (Army of Justice) claimed credit for the bombing on a bus carrying Iranian Revolutionary Guard Corps (IRGC) personnel along the Khash-Zahedan road. 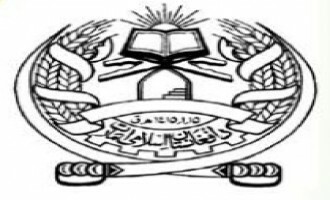 In an appeal to religious Muslims in Algeria and Tunisia, al-Qaeda in the Islamic Maghreb (AQIM) highlighted the recent school prayer ban proposal in the former and the Qur'an school shuttering in the latter, and urged them to raise their voice against the governing "criminals". 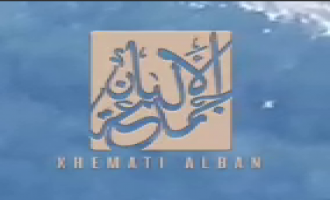 A video from a Syria-based Albanian militant group shows fighters targeting SAA soldiers in Jabal al-Akrad, Latakia governorate, with artillery and gunfire. The Afghan Taliban announced the names of the 14-member team to negotiate with the United States, including the five Guantanamo inmates swapped for captive American soldier Bowe Bergdahl in June 2014, and an imprisoned son of the Haqqani Network founder. 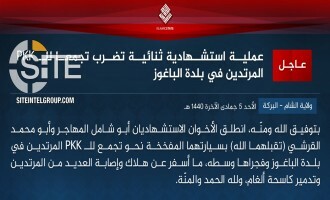 The Islamic State (IS) claimed a suicide bombing by an Uzbek fighter in Baghouz, targeting SDF troops. The Islamic State's West Africa Province (ISWAP) claimed killing three Nigerian soldiers and capturing three others as POWs, in an attack in Buni Gari, a town in Yobe state. 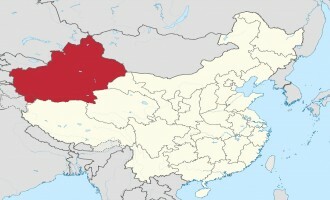 The Afghan Taliban claimed killing 12 American and a "large number" of Afghan soldiers in what it described as a "tactical operation" in Uruzgan province. As the Islamic State (IS) defends the last vestige of its "Caliphate" in Syria, reporting ground attacks against the SDF in Baghouz, it has highlighted the civilian casualties resulting from coalition strikes on the town. The Islamic State's West Africa Province (ISWAP) claimed inflicting multiple casualties in the Nigerian army ranks in two attacks on the same day in Ngwom and Malam Fatori, both towns in Borno state. 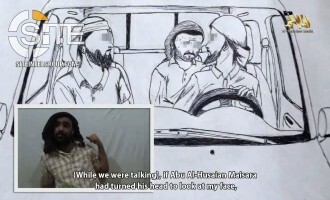 The Shabaab al-Mujahideen Movement released the second episode in a video series documenting the assassinations and bombings executed by its "Muhammad bin Maslama Battalion," including a blast on an American vehicle in Somalia's Lower Shabelle region. An Islamic State (IS)-aligned group released a video of attacks by IS supporters in Sheyban a town in Ahvaz, Iran, and in Balochistan, including the May 2018 strike on Basij forces. In its second attack in Malam Fatori, a town in Nigeria's Borno State, in six days, the Islamic State's West Africa Province (ISWAP) claimed inflicting multiple casualties among Nigerian soldiers. 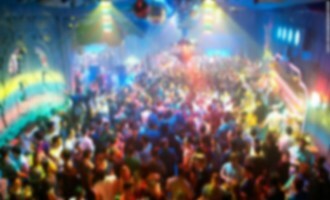 Islamic State (IS) supporters distributed a set of suggestions for ways lone wolves can poison "disbelievers" at large gatherings. Hay’at Tahrir al-Sham (HTS)-linked jihadi instructor group advertised training HTS’ “Red Bands” and posted a recruitment message for an English-language tactical course. 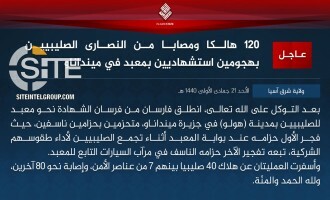 The Islamic State's West Africa Province (ISWAP) claimed an attack on Nigerian soldiers in Malum Konari, in Borno State. 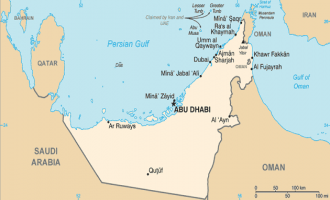 To take advantage of "white-collar recession" in Dubai, and to "avenge" Muslims, a jihadist suggested attacks on tourists and churches, synagogues, and Buddhist temples in the Emirati city. 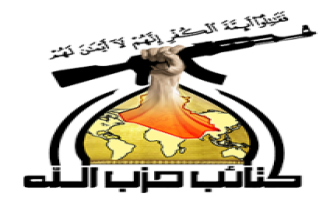 "Abdul Latif," a user on the Deep Web pro-Islamic State (IS) forum al-Minbar Jihadi Media, posted a message on January 31, 2019, asking fellow jihadists "what is the Arab state that spends the most money to fight Islam and Muslims," which was answered by another user to be the United Arab Emirates. As the economy of the country is staggering, and in revenge for Muslims... What we need is the killing of some tourists in several malls, the bombing of some churches and temples of Jews and Buddhists, and other targets that have a global impact. 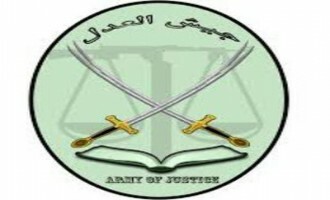 The Shabaab al-Mujahideen Movement, al-Qaeda's (AQ) branch in Somalia, claimed a suicide bombing on Ethiopian forces in Gedo region, and inflicting 25 casualties among Kenyan troops in two blasts in Lower Juba. Jama'at Nusrat al-Islam wal Muslimeen (JNIM), al-Qaeda's (AQ) branch in Mali, claimed a raid on an anti-terror unit post in neighboring Burkina Faso, killing four elements and capturing a large quantity of weapons and ammunition. 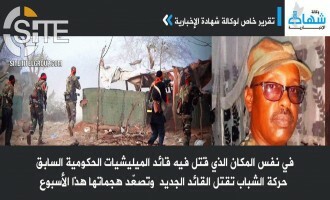 Just two days after its raid on an anti-terror unit post in Burkina Faso, Jama'at Nusrat al-Islam wal Muslimeen (JNIM) claimed another attack in the country, storming a Burkinabe army center in Kompienbiga. 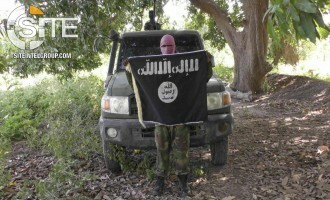 The Islamic State's West Africa Province (ISWAP) claimed two attacks on Nigerian soldiers that took place within 24-hours in Borno State, one involving the bombing of a convoy, and the other a strike on a post. 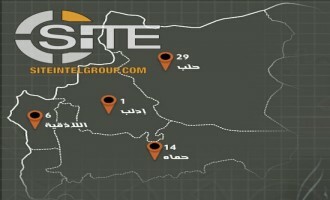 The Islamic State (IS) released a video documenting a variety of attacks on positions and vehicles of the Iraqi army, Kurdish Peshmerga, Popular Mobilization, and Tribal Mobilization in Kirkuk, including a raid in the 'Allas oilfield. As a result of an attack on Nigerian soldiers in Malam Fatori, the Islamic State's West Africa Province (ISWAP) claimed multiple casualties in the enemy ranks. 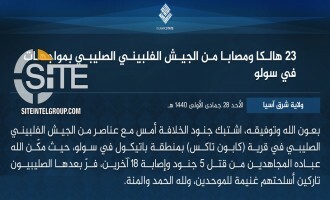 The Islamic State (IS) claimed inflicting 23 casualties among Filipino soldiers in a clash in Patikul municipality, in Sulu province of the Philippines. 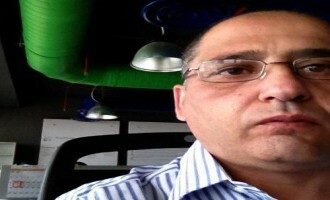 Ja'afar al-Husseini, the military spokesman for the Shi'ite militant faction Hezbollah Brigades in Iraq, declared that American forces are "legitimate targets," in response to U.S. President Donald Trump remarking that he will keep troops in Iraq to monitor Iran. 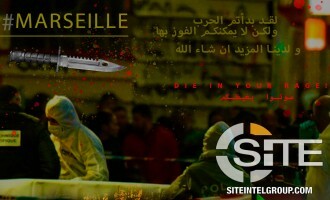 A foreign fighter-centric pro-Islamic State (IS) group gave a biography for an alleged Belgian blogger and recruiter. 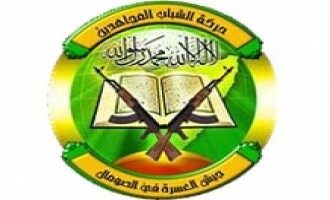 Al-Muhajireen Foundation posted the biography of "Abu Ayyub al-Beljiki" on Telegram on February 4, 2019. 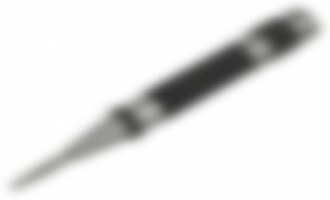 The Afghan Taliban published the English transcript of the speech delivered by its delegation at the Moscow conference on Afghanistan, wherein it confirmed negotiations with the U.S. not to allow the country to be "used against others," referring to the harboring of global terrorists and allowing them to operate training camps. 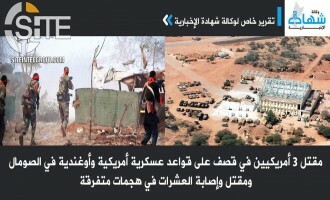 The Mali-based al-Qaeda (AQ) branch, Jama'at Nusrat al-Islam wal Muslimeen (JNIM), claimed an attack in neighboring Burkina Faso on Burkinabe security forces in Yagha province. The Islamic State's Nigeria-based branch, West Africa Province (ISWAP), claimed inflicting 30 deaths in the Nigerian army ranks in a clash in Logomani, in Borno State. Afghan Taliban spokesman Zabihullah noted "progress" in talks with the United States over foreign troop withdrawal, as the current round of negotiations has come to an end. 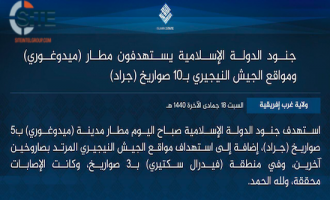 The Islamic State (IS) claimed killing more than 30 Philippine soldiers in clashes in Lanao del Sur, in the first instance of an attack by the group in the Philippines in 2019.